Hi friends! I am back on the blog to share my highly requested Whole30 grocery list. If you have not heard of Whole30 before, check out my older post about Why Whole30. So here is a list (not an entire Whole30 list), but just a list of what I am getting at the grocery store this week for Whole30. We have a lot of groceries still from last week, so this is not a very big grocery list. I will share my kick off to Whole30 shopping list soon. *We also eat Deer, a lot, but we have this in the freezer! We use Bananas + Strawberries for shakes in the mornings! I always try my best to get my veggies + fruit FRESH from a local farmers market. Walmart has Whole30 frozen bowls. They are perfect for lunch on the go. 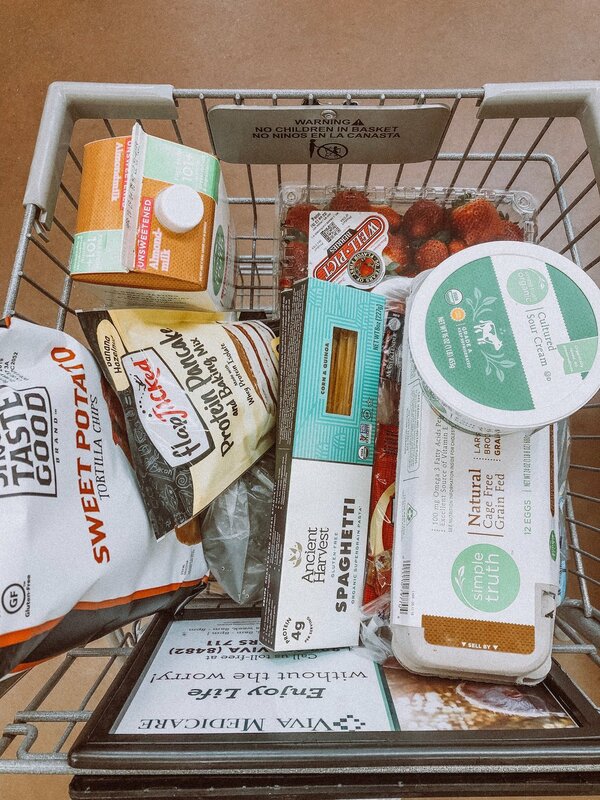 Kroger is my go to for organic anything! I will be sharing more Whole30 related post about my progress, struggles, cravings, recipes, and weekly meal plans. Hello friends, thanks for stopping by! I am so happy you are here and I can’t wait to get to know you.